I can't count the number of times I have written about businesses using "the weather" as an excuse for poor results. 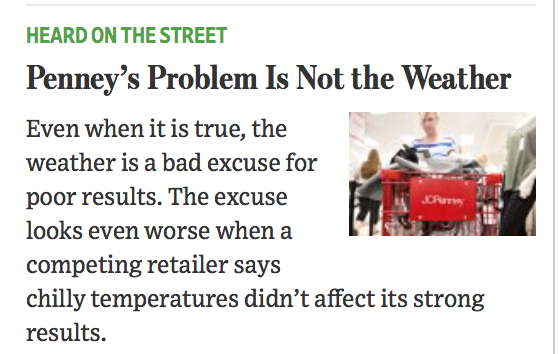 Finally, The Wall Street Journal has called one of them on it. Tornado Season is Cranking Up: Are You Ready?? A New Way to Forecast Tornadoes? Maybe. Can Meteorologists Really Forecast Tornadoes?